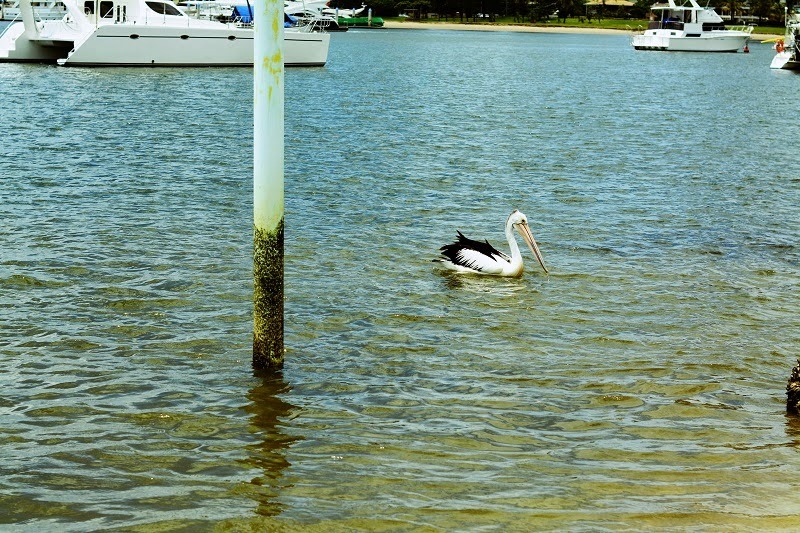 Vintage at Heart: Pelicans, polka-dots and yachts! February has been a bit of a wild month, lots of rain and gale winds - and we have been told there's more to come with a cyclone brewing along the coast. Today however was a perfect beach day, the sun was almost out and the water was so warm - but also full of jellyfish, lots of jellyfish. In fact, if you look carefully at the fifth photo, that blue lump near my feet is one of the many that had been washed ashore. I have no idea what's been going on this summer but swimming has been a bit risky with all of the jellyfish floating around! 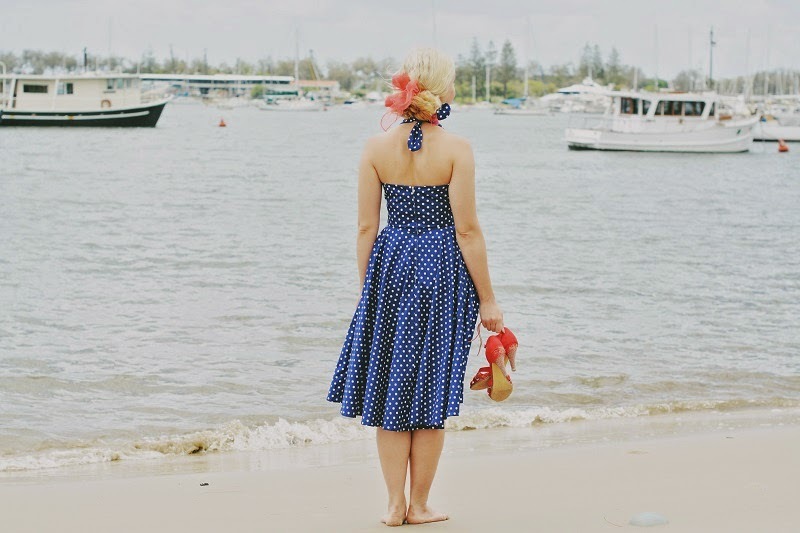 A few weeks ago the lovely folks at Blue Velvet Vintage offered me the chance to review one of their dresses, and let me just say that I had to think long and hard because they have so many beautiful things! Blue Velvet Vintage has a great selection of vintage reproduction brands as well as authentic vintage pieces. 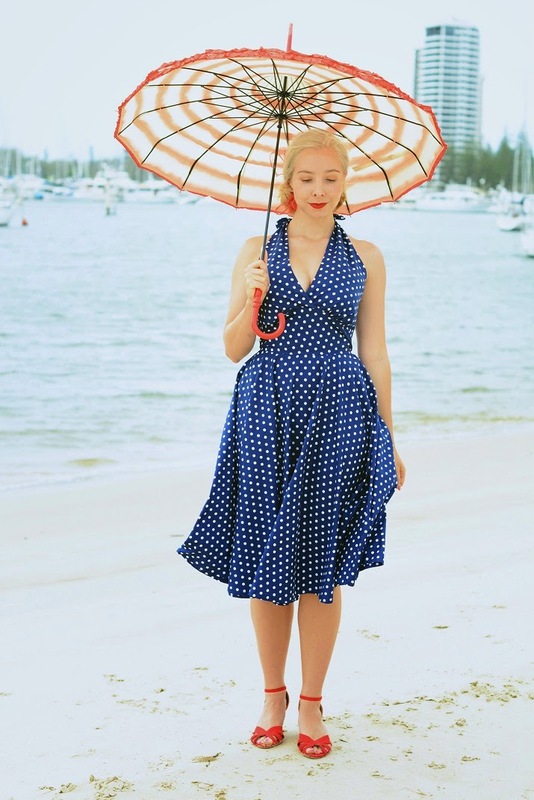 This adorable polka dot halterneck is actually one of their own designs from their house brand Classic Dame and known as the 'Starlet' halter swing dress. The Classic Dame dresses are all made in the USA and each one is made in a limited amount to ensure quality control. I was most impressed with this dress! The fabric is a lovely mid weight cotton and was extremely comfortable to wear all day, and the sturdy metal zip at the back made getting in out of the dress nice and easy. My favorite thing about this dress however is how incredibly flatting it is, I felt absolutely fabulous wearing it and got compliments on the dress all day long! Great post...the photos are beautiful as a painting and You look like the most charming & gorgeous Pi-up ever! lovely blend of colours and the dress make shining Your stunning Silhouette and Beauty...cheers! I really hope this rain that is coming, doesn't cause major flooding like a few years back! As I want to go away this weekend and traveling on roads/highways is not a very good idea, if they're is flooding/heavy rain involved! Just have to wait and see. Looking absolutely lovely! Blue Velvet Vintage clearly has beautiful pieces! 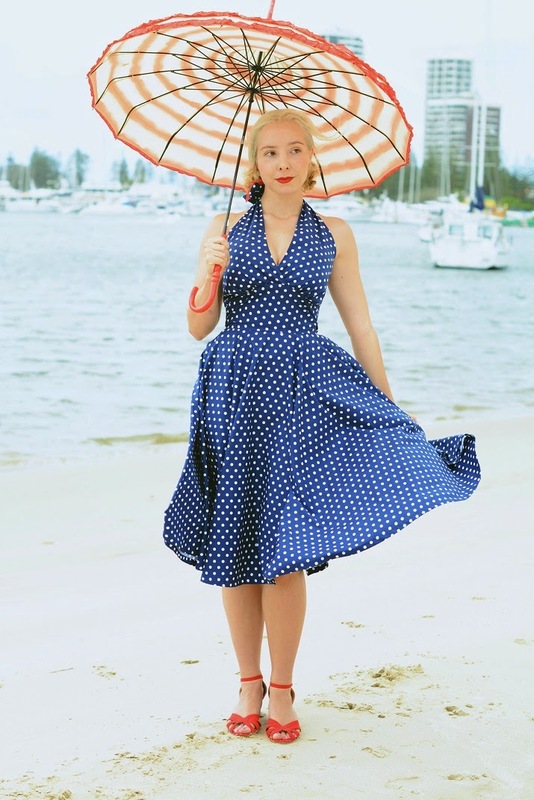 You look so gorgeous, the colours complement you so well and I love the full skirt and patterns!! 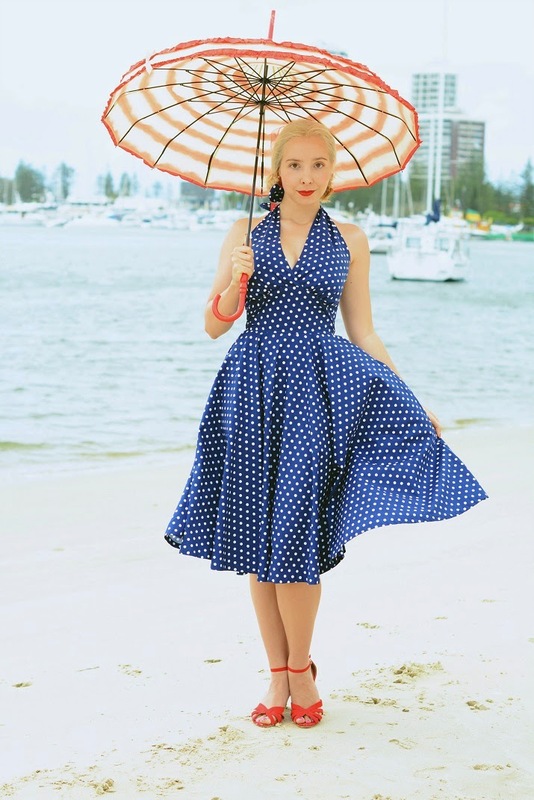 OMG i love that dress and I love how you pair it with colorful parasol!! 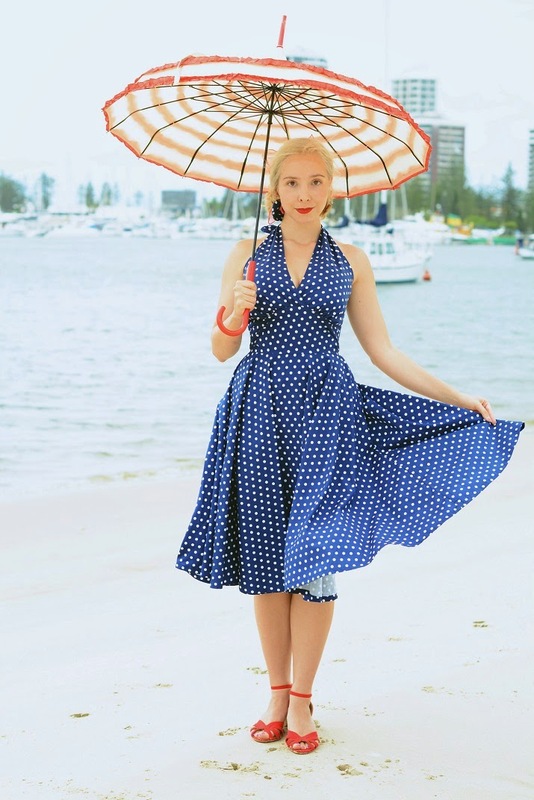 What a great dress to add to your collection. Looks very sweet with the red accessories. The dress is just beautiful and really is flattering! 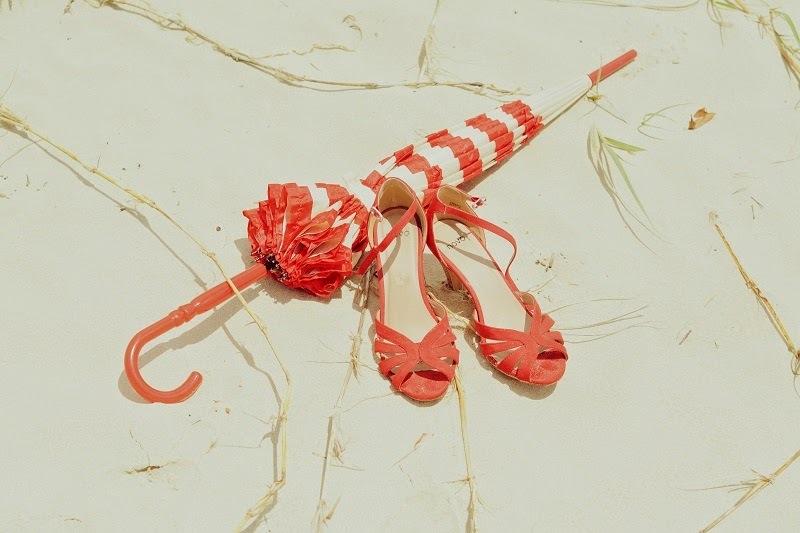 It looks very stunning paired with the red shoes and umbrella. My goodness they really do have such lovely things. And good luck with the weather! It's been pretty windy down here too! Aww such a sweet dress! sweet... very romantic dear !